All this information below will help you, but please feel free to call us anytime at 801.822.1333 with questions. You can supply your own booth items, but we have an excellent (new) supplier/decorator in Shepard Expo Services. Their online exhibitor kit is here and your order form password is PCE19. You may also contact them by phone at (404) 720-8600. Your booth is simply your space with black pipe and drape (8' back wall and 3' sides) and Shepards can supply nearly everything else. Commonly ordered items include draped tables, chairs, carpet & more. Electrical and internet are both ordered directly from the Cobb Galleria. Basic electrical goes for $85 pre-ordered. For electrical they use an online ordering system you can access by clicking here. If you need further instructions click here. For more questions or if you prefer humans, contact the Cobb Galleria at services@cobbgalleria.com or 770-989-5016. Internet and electrical are both ordered directly from the Cobb Galleria. Wifi or hardlined internet is is available thru the Cobb Galleria using the same system as above. Single users are usually around $125 per show (pre-ordered) or up to 10 users for $600. Faster speeds available. We are fortunate in our state to not have a lot of set-up and design regulations. All booth amenities must be within the allotted space (nothing in the isles) unless pre-approved. Anything deemed unsafe in the opinion of the expo organizer (such as tipping hazards) will be required to change. We also ask that there be no solid side walls on your booth that block the view to your neighbors for the attendees that are walking down the isle. The provided drape rods will support normal banners but in general are not to be used as booth support. Helium balloons can be used, but only if they are attached securely to your booth. Please do not hand out helium balloons. You may ship any way you'd like, but we have an excellent shipping partner in InXpress. Click here to learn more. They are very reliable and have the best rates. There is a new policy that the Cobb will not receive any freight on behalf of exhibitors. Shipping and handling should be coordinated through Shepards or InXpress above. You may possibly receive and sign for items shipped to the Cobb yourself if you can gaurantee its arrival while you are there for set-up days. If you have any more questions you may call our office at 801-822-1333. An exhibitor has suggested one more option. You can also get your freight shipped to YRC Freight Line on Airport Industrial Blvd in Marietta and arrange a dock pick up. It's about 1.5 miles from the Cobb Galleria and it's a great way to save shipping budget money. Set-up is Thursday, April 16th between 8 a.m. and 6 p.m. Enter at the back part of the building (southeast side, via Galleria Parkway SE) to get into the loading dock area. It is open set-up (no assigned times). Check-in at the desk near the back loading docks for information, exhibitor badges, location help, etc. Please plan on unloading and then moving you car before you finish your set-up. Drive-ins not allowed during set-up day (too full). The Cobb would prefer that we not have early set-up on Wednesday for liability reasons. They've also asked that there be no children during load-in and load-out times for liability reasons. Take-down is anytime after 7 p.m. (to 11 p.m.) on Saturday evening. No early take downs! You may park in the back (east or south) for loading and unloading only. On show days please use the main front parking lots for your vehicle. There will be a Cobb parking fee. Utility trailer parking is available at a Cobb co-owned Marshalling Yard southeast of the facility. See a map for directions to the trailer lot here. We will give each exhibiting business a class punch card good for 2 classes each day of the show. You can use or pass around this card as you wish, and these are passes for 'stand-by'. Class passes above these two classes each day will need to be purchased. If you would like a custom promo code that you can give to friends and followers for 1/2 price general admission tickets online, please request it here. As an exhibitor you can also contribute a raffle prize to be given away at our VIP night kick-off party without any additional cost! Raffle prizes must be valued at $100 or more and end up being highly- talked about items throughout the weekend. We also wanted to remind you that you can contribute items to our swag bag for free! Each of our presenters and VIP attendees will receive a swag bag to kick-off the event. All we ask is that you don’t give any flyers or coupons. Instead, share a teaser of the products you have to offer. Contributing a gift like that to the swag bag will have our most influential group of attendees talking about and purchasing your stuff all weekend long. You will need to bring 350 items with you to set up Thursday morning, and we’ll take care of the rest. If you'd like to participate, please contact Darienne (801.822.1333) or e-mail us here. Cobb Galleria does not allow giving away drinks or water.  If you are dealing with any food items at the show, you'll need to work through the Cobb Galleria for approval. Click here for Cobb's application for Food Sampling & Handling. When approved, you will also need to fill out the Health Departmen'st Temporary Food Handlers Permit here (fee may apply). Vendors must file a form Misc FS-32. Once the event is over, the vendor is expected to complete the form and remit the appropriate amount of tax collected by check or money order with the FS-32. The form and payment should be mailed in no later than 1 week after the close of the event. Please mail in your form to Miranda K. Foggie Georgia Department of Revenue 314 E. Main St. Ste 150 | Cartersville, GA 30120-3322. *This information is presented to be helpful service and not gauranteed as complete. We're excited about our new Pinners Conference Atlanta and we will definitely do extensive marketing to make sure everyone hears about the fun. We will include a media-wide campaign including TV, billboards, magazines, newspaper cooperations, national DIY and craft organizations, women's group email campaigns, print promotion and of course many of the nation's most popular bloggers and electronic media. Booth space is available by contacting Bennett Events at 801.822.1333. Booths are 10' x 10' and 8" x 10" and generally run $799. Bennett Events is a leader in connecting businesses with custom audiences and people. To download a Media Kit with information on all of our Pinners cities, click here. Please promote the show and your cool business with the graphics below. Thanks! If you need GRAPHICS to help you promote, please click on your favorite below for a higher resolution version of the image.